Throughout history, pretty much every powerful man has been propped up by womxn who supported him, counseled him, and in some cases did his job for him. Imagine if we supported each other the way we support our men. Just imagine. That’s what I believe is the key to our collective success, and that’s the kind of filmmaking community and broader community that I try to foster with my work. My work aims to put women on—to have all women of color crew, and to highlight the brilliance, resilience, and humanity of us. 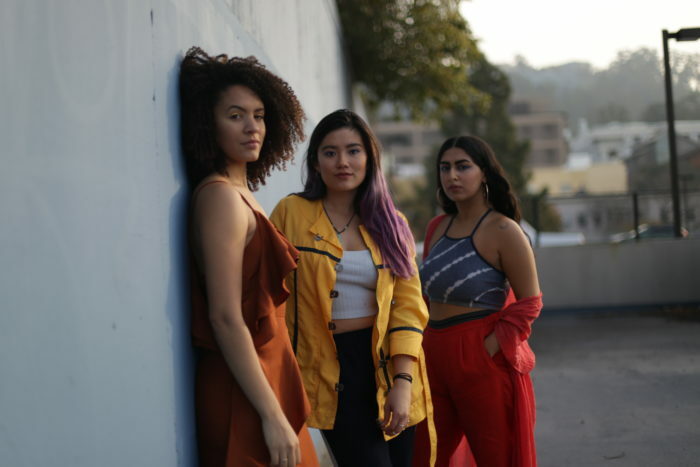 That’s why I co-founded Breaktide Productions, an all women of color production company dedicated to democratizing filmmaking by making content that elevates underrepresented voices on camera and behind the scenes. 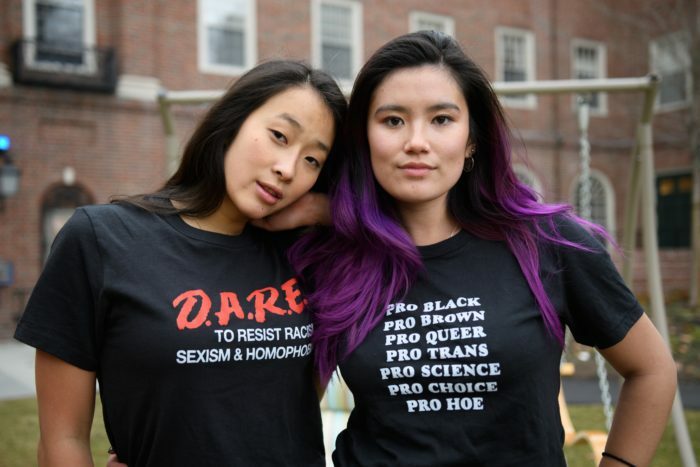 My co-founders Reaa Puri and Alex Bledsoe inspire me everyday. When we pool our accomplishments, resources, and knowledge, we push each other so much further than we imagined we’d get by ourselves. I’ve acutely understood the power of film since I was 7 years old and convinced my entire family to go vegetarian after watching Babe. I remember learning about lifestyles and upbringings so different from mine by watching Jesus Camp and Super Size Me as a young kid. In 2016, I was selected as an Albright Fellow and got to learn from leaders across many industries working to solve worldwide issues. We heard from people studying education programs for refugee children, scientists working on new ways to clean water, and a professor studying the negative side of micro finance. Yet I was struck by the lack of personal narrative and any media in the presentations. I realized such important issues could be made more accessible through film. My first documentary, The Construct: Female Laborers and the Fight for Equality, follows San Thi Da, a 20 year-old construction worker, and human rights activist Cheery Zahau, to examine feminism among different socio-economic classes in Yangon, Myanmar. I learned so much through the process of making that film and was ready to apply my knowledge to a subject I could spend more time with. 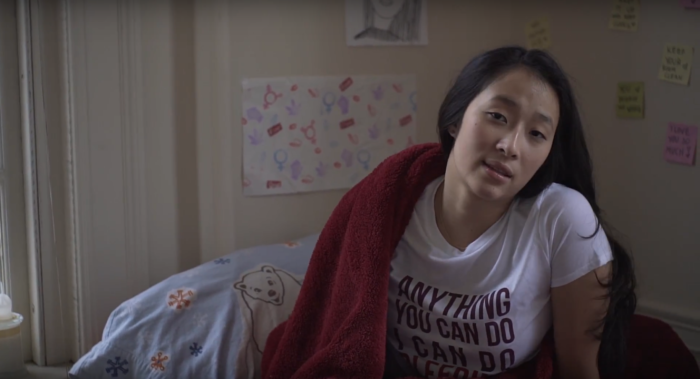 For the past few months, as a Sally Shenkman Women Film Fellow, I’ve been working on a short documentary, Period Girl, which follows Nadya Okamoto, a 20-year-old Harvard student and menstrual activist, as she navigates being a young woman of color thrust into the spotlight advocating for a polarizing issue. 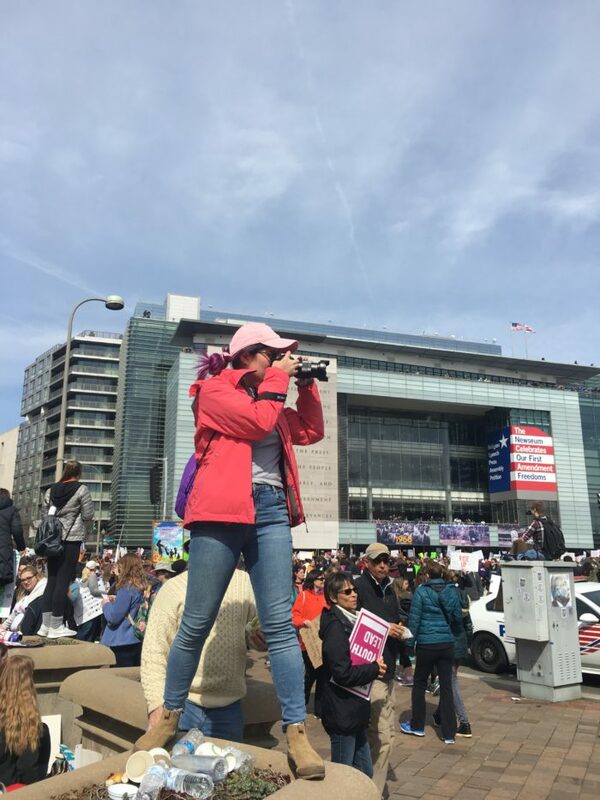 I’ve followed Nadya at school in Boston, at the March for our Lives in DC, during press tours in New York, and at speaking gigs in Los Angeles. I am so grateful for the support of the Jacob Burns Film Center. This program has reinforced how vital collaboration and community are to filmmaking. Every week I look forward to hearing feedback on my project, and seeing how everyone’s project has progressed. Thank you to everyone at the Burns, and thank you to Nadya Okamoto for letting me follow her around the past few months. I can’t wait for you all to see what I’ve been working on.